3 most common types of depression (1-3). 1) Major Depressive Disorder: This is the type of depression that people are usually referring to when they talk about depression as a disease. Major depression disorder is otherwise known as clinical depression. Diagnosing major depressive disorder is difficult since symptoms are both physical and mental – it’s not like a viral or bacterial disease where a doctor can make a definite diagnosis based on a blood sample. 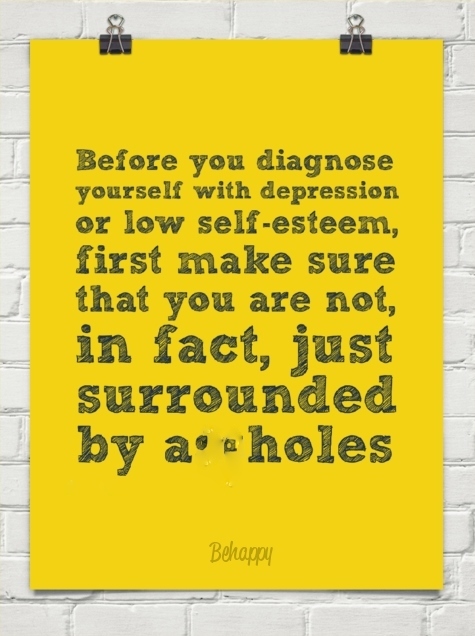 Instead, diagnosis of depression is based on a doctor’s assessment of how the patient describes their own experience (thus, DO NOT HIDE STUFF!!! – it’s all quite common to your practitioner… even the dark stuff!). That said, there are some guiding criteria used by doctors and psychiatrists to identify major depressive disorder and distinguish it from other types of depression. One of the key criteria for diagnosing a major depressive disorder is the experience of major depressive episodes. In simple terms, a major depressive episode is a consistently low mood that lasts for two weeks or more. The definition of clinical depression: Clinical depression is defined as the recurrence of these long episodes of low moods, or one extended episode that seems to be ‘never-ending. So it is possible to be clinically depressed and still have ‘happy times’ – but typically these times are few and far between, and separated by long periods of down moods. • Atypical depression – this type of depression revolves largely around feelings of social rejection and is often accompanied by weight gain and excessive tiredness and longer sleeping hours. • Post partum depression – a type of major depression sometimes suffered by women after they have given birth. • Catatonic depression – this is an extreme type of depression in which the sufferer can’t speak and often has very limited control over his or her body movements. • Seasonal affective disorder – or SADS, this disorder includes essentially the same symptoms as major depressive disorder, except it only affects the sufferer during certain seasons (usually winter and autumn/fall). • Melancholic depression – this is the type of depression most people tend to associate with the word ‘depression’ – it’s characterized by feelings of grief or guilt, the loss of ability to feel enjoyment or pleasure, and is often accompanied by weight loss. This category was thought to be dominantly based on DNA and anticipated to require long-term management, but can now be linked to “situational depression” – the hope being that it can be a short-term diagnosis. Understanding which type you or someone you know is suffering from is important to ensure the right course of treatment is followed. 2) Bipolar Disorder or Manic Depression: Formerly called manic depression and sometimes called bipolar affective disorder, its symptoms don’t typically resemble what most people think of as ‘depression’. In fact, to the untrained eye, a person with bipolar can often seem to be the opposite of depressed, being full of energy and talking quickly, jumping from one subject to another. But these ‘manic’ episodes inevitably give way to the ‘depressive’ episodes in which the sufferer experiences low moods. Bipolar 1 Disorder – primary symptom presentation is manic, or rapid (daily) cycling episodes of mania and depression. Bipolar 2 Disorder – primary symptom presentation is recurrent depression accompanied by hypomanic episodes (a milder state of mania in which the symptoms are not severe enough to cause marked impairment in social or occupational functioning or need for hospitalization, but are sufficient to be observable by others). It’s actually possible for bipolar sufferers to never experience the excessively low moods of a major depressive disorder sufferer at all. This again accounts for why many people don’t understand bipolar and don’t realize it’s actually classed as a form of depression. It’s easy to think someone who experiences manic episodes and then goes ‘back to normal’ without seeming particularly depressed is simply a ‘quirky’ character. As a result bipolar is often misdiagnosed or goes undiagnosed altogether. Manic Episodes – Manic episodes can take on a few different forms, sometimes being characterized by irritability and a short temper, but often a manic state is actually experienced as being a kind of ‘happy high.’ The bipolar sufferer will often feel less need to sleep during an episode like this and engage in excessive drug or alcohol abuse and sexual behavior. Some people who are often thought of by their friends as being ‘party animals’ are bipolar people who are simply riding the wave of a manic episode and will deal with the low of a depressive episode by withdrawing from social contact. Short attention span is another key symptom of a manic episode. Hypomanic Episodes – A hypomanic episode is similar to a manic episode but usually less severe. It can also have seemingly positive qualities, like an increase in creativity. Cyclothymic/Mixed Episodes – The mixed episodes are the hardest to recognize since they can be a mish-mash of feelings and symptoms. Mixed episodes are not necessarily a good indicator that someone is suffering from bipolar unless they’re also accompanied by the characteristic up and down swings between completely manic and completely depressive episodes. 3) Dysthymic Disorder: or simply dysthymia is another chronic form of depression, although it tends to be less severe than major depressive disorder. Dysthymia is quite a problematic disorder purely because it’s relatively mild – sufferers have a tendency to think it’s simply part of their personality, rather than suspecting they may be suffering from a disease. Whereas major depressive disorder will often push people to a breaking point where they’re forced to seek help, dysthymia is a problem that many people go through their entire lives with without ever being diagnosed. The main criteria that distinguishes this disorder from many other mood problems is its chronic nature. Someone is only diagnosed with dysthymia when they have been suffering symptoms regularly for over two years. Also, symptoms must be present continuously for those two years without a break of more than two months. As if that weren’t enough to make dysthymia hard to identify, it’s also fairly common for other mental disorders to affect people with dysthymia. In fact, around 75% of dysthymia suffer from other conditions, which can include alcoholism (see also point E below). If you have dysthymia or chronic depression, you may also experience one or more episodes of major depression during your lifetime. Sometimes depression is symptomatic of another mental disorder. This is particularly true when the nature of the mental disorder causes excessive distress to the individual. While, in this context, the depression is a symptom, it is still important to recognize its impact on the person and his or her ability to respond to treatment. Symptoms include episodes of reexperiencing the traumatic event or reexperiencing the emotions attached to the event; nightmares, exaggerated startle responses; and social, interpersonal, and psychological withdrawal. Chronic symptoms may include anxiety and depression. PTSD is categorized as an anxiety disorder. Symptoms of anxiety disorders are most often on the anxiety spectrum, but the chronic stress faced by individuals with anxiety disorders can produce depressive symptoms including irritability, hopelessness, despair, emptiness, and chronic fatigue. Individuals with schizoaffective disorder have, in addition to many of the symptoms of schizophrenia, a chronic depression with most of the features of Major Depressive Disorder. Because of the difficulty individuals with schizophrenia have in coping with the daily demands of living, depression is often a symptom. With both schizoaffective disorder and schizophrenia, the depression adds an additional dimension to treatment, specifically in helping the person mobilize in the face of their depression to cope with their illness. People with personality disorders are particularly susceptible to depression. These individuals are at high risk for substance use disorders. As a result, it is not uncommon to find clients in substance abuse treatment with all three diagnoses. Because personality disorders are categorized in DSM-IV-TR as Axis 2 disorders, it is common to find their depression diagnosed separately (from the personality disorder) as an adjustment disorder, dysthymia, or major depressive disorder. Substance-Induced Mood Disorder is a common depressive illness of clients in substance abuse treatment. It is defined in DSM-IV-TR as “a prominent and persistent disturbance of mood . . . that is judged to be due to the direct physiological effects of a substance (i.e., a drug of abuse, a medication, or somatic treatment for depression, or toxin exposure)” . 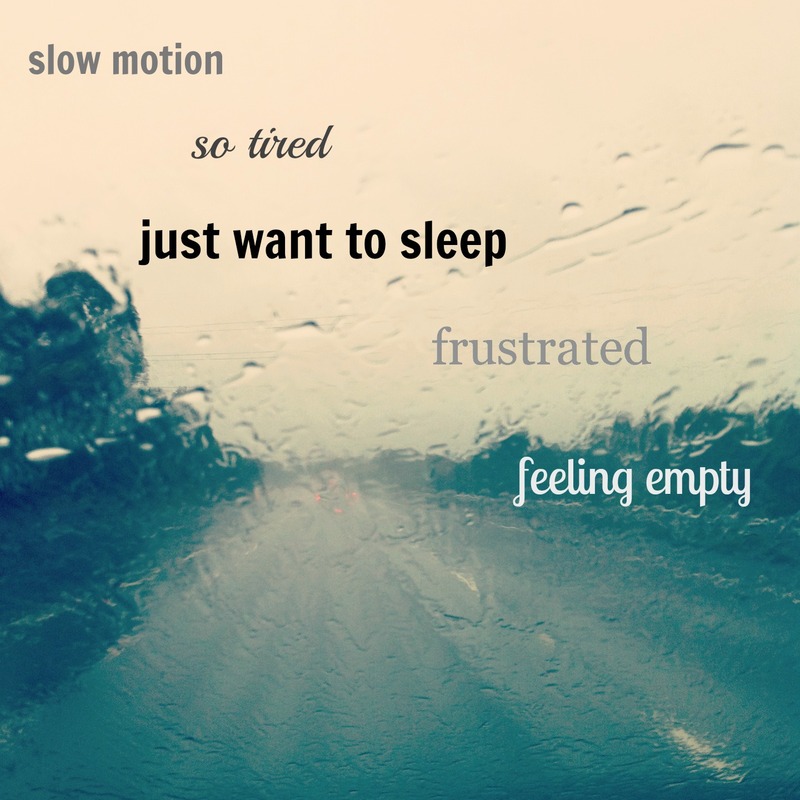 The mood can manifest as manic (expansive, grandiose, irritable), depressed, or a mixture of mania and depression. Generally, substance-induced mood disorders will only present either during intoxication from the substance or on withdrawal from the substance and therefore do not have as lengthy a course as other depressive illnesses. It is not as common to find depression due to a general medical condition in substance-abuse treatment settings, but it is important to note that depression can be a result of a medical condition, such as hypothyroidism or Parkinson’s disease. The criteria for diagnosis are similar to Major Depressive Episode or a manic episode; however, the full criteria for these diagnoses need not be met. It is important in diagnosis to establish that the depressive symptoms are a direct physiological result of the medical condition, not just a psychological response to a medical problem.